The Victoria Falls is a grand natural spectacle and one of the most popular vacation travel destinations in Southern Africa. One of Africa’s grandest natural wonders, the Victoria Falls, is a destination not to be missed when traveling to Southern Africa. These mighty falls occur in the Zambezi River between northeast Zimbabwe and southwestern Zambia, and are considered to be one of the world’s natural wonders. Around the Victoria Falls are a number of national parks and protected areas to safeguard the area for generations to come. One reason is because of the waterfall itself, but also because of the aftermath and the landscape created by this constant and strong flow of water that travels through the area daily. The mist created here supplies moisture to the surrounding forests of mopane trees and fertile woodland areas. The falls are supplied with all this water by the great Zambezi River, the fourth longest river in the whole of Africa. The average water flow passing over these 108m high cliffs annually is estimated at around 1088 square meters per second; challenged only by South America’s Iguazu Falls. Furthermore, some of the curious rock formations have attracted the attention of various visitors over the years, and have an influence on the whole experience you enjoy when visiting this beautiful area. The most notable one at is known as the “Devil’s Pool”. Devil's Pool is a trench naturally gouged out of the rock right on the edge of one of the falls, which allows tourists to experience the falls from within them - a spine-tingling yet memorable experience. 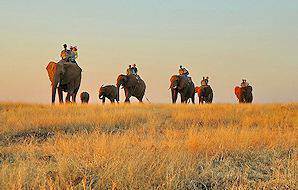 Elephant-back safaris are one of the most popular activities at the Vic Falls. It typically involves exploring a wilderness area not far from the falls for about an hour and a half while astride the back of Africa's largest land mammal. A geological feature meters from the point where the falls plummet over edge, this activity is not for the faint of heart. Devil's Pool is only accessible in times of low water flow. 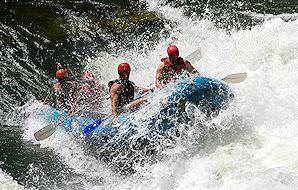 The original adrenalin rush adventure, white water rafting on the Zambezi below the falls is generally considered to be the finest white water rafting experience in the world. Rapids encountered are as high as category five during certain periods of the year. 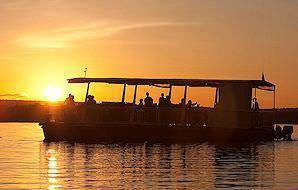 Few other places where a sunset cruise can be enjoyed offer more dramatic landscapes than those on offer surrounding the Zambezi River. It is recommended that all who visit the area should book one of these cruises at least once. An activity that has recently become quite controversial, lion walks are a unique way of interacting with immature lions. It offers a novel perspective of Africa's largest and most notorious predators. These excursions focus on enriching your understanding of the traditions and cultures of the local tribes. It also offers the opportunity of purchasing some hand-made curios unique to the region. The young and brave can endeavor this often seemingly foolish activity. 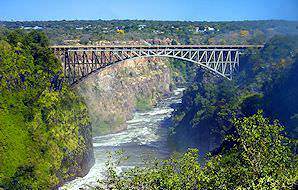 Jumps are offered by professional jump masters from the bridge that connects the countries of Zambia and Zimbabwe to one another. A vacation to Victoria Falls is easily combined with a safari in Botswana or a tour in South Africa. All our vacations are 100% customizable. We offer a host of private tours, safaris & honeymoons to Vic Falls. Our team can propose a custom vacation that includes a Vic Falls visit. Few who have gazed upon the majesty of the Victoria Falls will disagree that it is a truly inspiring sight. Visiting various vantage points from where the Falls can be seen, from both the Zimbabwean and Zambian sides of the river, is in itself the most compelling reason to visit the Falls. The area adjacent to the Falls offer visitors amazing choices as far as activities are concerned, from relaxed options like sunset cruises and cultural village tours to heart-stopping adrenalin rush activities that include white water rafting as well as bungee jumping and a host of other adventures. Combining a visit to the Victoria Falls with a few nights on safari in Botswana’s Chobe National Park is a great way to experience one of the world's natural wonders and enjoy one of Africa’s greatest safari destinations. The transfer from either Victoria Falls or Livingstone to Chobe is only about an hour and a half in duration. Victoria Falls is a destination that caters to travelers in all budget categories. Whether your budget allows for a comfortable three star hotel or an ultra-luxurious lodges set on the banks of the mighty Zambezi River, you will be spoiled for choice when considering the various available options. A few daily commercial flights connect Johannesburg to both the town of Victoria Falls in Zimbabwe as well as the town of Livingstone in Zambia. These flight are about an hour and forty minutes in duration. 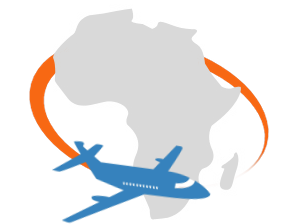 From Livingstone or Victoria Falls airports, a short transfer of between fifteen and twenty-five minutes brings guests to their overnight destination. Winter months from late May to the end of August are the most temperate. Summers can be brutally hot, with temperatures rising above 40 degrees centigrade. Rainfall in the area normally consists of late afternoon thundershowers that last for an hour or two. The rains fall from about the middle of October to late March. 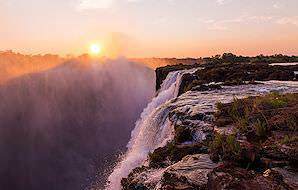 The best time to visit the Victoria Falls is between February and June, when the Zambezi is in full flow after summer rains in its catchment area. During this period, you will witness the largest sheet of water in the world, that plummets over a sheer drop. During this period, the spray cloud rises an average of 400m into the air, sometimes even twice as high, depending on prevailing winds, and is visible from almost 50km away. Victoria Falls is located within a high malaria risk area, and anti-malaria precautions should be discussed with your personal physicians when you are planning your travels to Southern Africa. Beyond that, ensure that all your routine vaccinations are up to date. As both Livingstone and Victoria Falls have become bustling tourism hubs over the years, petty crime does occur in busy spaces. Ensure that your valuables are securely on your person when visiting curio markets or dense vantage points. If your private accommodation does not have an in room safe, simply request the hotel or lodge to secure your valuables for you for the duration of your stay. There are so many experiences to savor around the majestic Victoria Falls, but the cream of the crop focus on the bounties of the Zambezi River. Whether you are experiencing it from within it, on it or high above it, you'll delight in this majestic African waterway. Sit back and relax with your favorite drink in hand, while gliding over the Zambezi River, with splendid views of the wooded river banks and multitude of small islands in the river. Birdlife at this time of day is amazing, and the occasional hippo and croc may be spotted close to the boat. A unique vantage point from which to observe the majesty of the falls. From a helicopter or microlight aircraft, the sheer scale of the Victoria Falls become even more apparent than when viewing this natural spectacle from the ground. These flights are typically between ten and thirty minutes in duration. A hair raising and jaw dropping view from a protected pool right at the edge of the Falls. The excursion has to be pre-booked and it is important to note that the Devil's Pool is only accessible when the flow of the river is not too high. The adventurous will find this activity most enjoyable and rewarding. Transfers from the airport to your hotel or lodge will be typically be in private air-conditioned vehicles. This is also the case for transfers to the various activities that you will partake in while staying at the Victoria Falls. If you opt for a day excursion to Chobe, the above will apply as well. Once you reach Chobe, however, you will transfer to an open 4x4 game drive vehicle for the duration of the safari in Chobe. 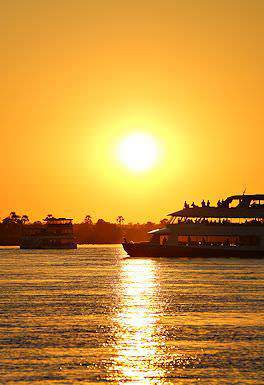 Sunset cruises are conducted in boats of varying sizes. All are well equipped to enjoy the the magic of a sunset over the mighty Zambezi River. Nshima is the staple of the local population in both Zambia and Malawi. It is a starch dish cooked with water, salt and maize flour. Salted water is brought to the boil after which the maize flour is added and cooked for ten to twenty minutes. A local fresh water fish species that occurs in abundance in the Zambezi. Methods of preparation include pan frying, roasting or serving tilapia in a traditional fish stew. However you choose to enjoy it, it is well worth a try. Made from the papaya fruit, sugar, mint and grated lemon peel, Mapopo Candy is a local sweat treat. It is available in local markets and should be available at most of the hotels and lodges in the area during papaya season. A creamy drink made from maize meal, Maheu has a slightly sour taste and becomes alcoholic if left to ferment. It is commonly enjoyed by locals, but definitely is an acquired taste. People who like to try new and different foods might enjoy it. Should i take a raincoat? In times of peak flow, you will be drenched by the spray cloud of the Falls. It is however not necessary to bring your own rain coat, as ponchos can be hired at a very nominal fee. Which country offers a better view of the falls? Each is different and special in its own way. Two thirds of the Falls can be seen from the Zimbabwean side of the river, and one third from the Zambian side. Is white water rafting safe? The safety record is impressive. It is, however, recommended that this activity only be undertaken by those who are physically fit. Which country offers better accommodation options? The choice is much greater on the Zambian side of the river. What is the ideal duration for a visit to the Victoria Falls? A stay of three nights with two full days will offer enough time to appreciate the Falls and their surroundings. How long is the drive from the Airport to the Hotels and lodges in the area? Depending on the specific property, roughly twenty to thirty minutes. During which months can Devil's Pool be visited? The autumn and winter months from May to the end of September would be a relatively safe bet if you wish to venture to the Devil's Pool. What other regional Destination can be visited ? The most popular regional destination close the Victoria Falls is Botswana's Chobe National Park. What is the finest property in the area? River Club on the Zambian side of the Zambezi River is, in the author's, opinion the finest of the lodges located near the Victoria Falls. Will I have mobile reception and access to the Internet? Yes, though connections can be very slow. 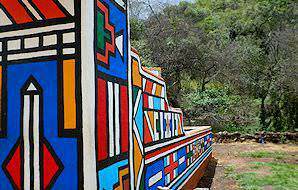 South Africa is arguably the continent's most diverse travel destination. Namibia is where the fiery desert meets the icy shores of the Atlantic Ocean. Zambia's safari destinations are remote and pristine - true wilderness areas. Zimbabwe is best known for the Victoria Falls and Mana Pools National Park. The Victoria Falls is one of the most recognizable natural wonders in Africa. It was first discovered and introduced to the western world by the great explorer Sir David Livingstone during his expeditions to Africa, which led to his first sighting of the Falls on the 16th of December 1855. He then named the waterfall after the British monarch at the time, Queen Victoria. The first settlement around these great series of waterfalls was established early in the 20th century. This came after the formidable Rand-lord Cecil John Rhodes had proposed the exploitation of the area and all its natural resources. The first construction and the first bridge here was also built by Cecil John Rhodes, driven by his vision of a railway stretching from Cape Town to Cairo. The tourism and recreational activities in the area started when the Victoria Falls Hotel was opened in 1904 to accommodate passengers of this newly built railway station that could take them as far south as the Cape, and from there it rapidly grew. In the surrounding British colonies, it became a desired destination for many people and, by 1990, long after all these countries gained independence, the annual number of visitors here grew to near 400 000 into the well managed and beautiful exclusive destination it is today. A gorge is a natural trench-like structure, and can usually be found further downstream from a waterfall where the rock and below the river itself goes deeper and deeper, started by the water falling and flowing from the falls. There are 6 gorges identified within the Victoria Falls area, the first of which is right below the falls. The second is only 200m south of this first one, and is 2,15 km in length. After the first two follows the third, fourth, fifth and the final gorge named the Songwe gorge. This one is special because of its size, around 3.3km in length and 140m deep, but is named after the small river that flows into it from the northeast. The long, deep valley formed by the power of the falls themselves offers a beautiful scene, often covered in mist. These gorges are inarguably very beautiful, but are more useful than one might think, however. The third gorge here below these falls contains the Victoria Falls power station, a hydroelectric power plant which uses this flow of water or movement through the gorge to generate electricity. The Victoria Falls is the largest waterfall in the world, spanning a gorge between the African countries of Zambia and Zimbabwe. Zambia's South Luangwa National Park is the top destination in Southern Africa for an extended walking safari. Lower Zambezi National Park offers a wide range of water-based safari pursuits, from kayaking trips to powerboat cruises. The most sought-after section of Kafue National Park is known as the Busanga Plains or swamp, famous for its lion pride.